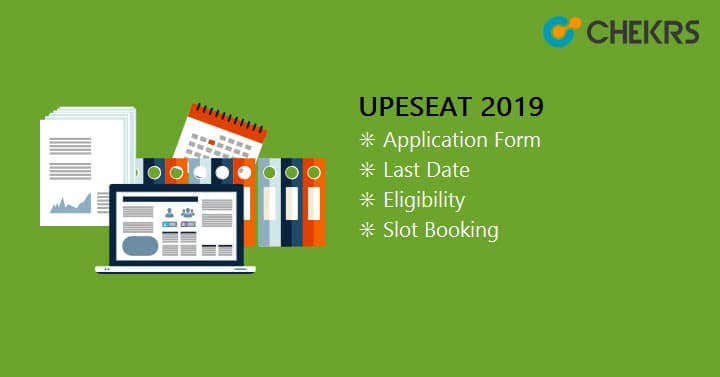 UPESEAT 2019: Fill the Form, Slot Booking Started!! UPESEAT 2019: UPES is the University of Petroleum and Energy Studies situated in the state of Uttarakhand. The UPES is Asia’s first core sector university offering specially designed courses in oil and gas, power, infrastructure, information technology, transportation, electronics and many others. Latest Update: UPESEAT 2019 Slot Booking Started from 18th April 2019. Latest Update: UPESEAT 2019 Exam Date Revisied!! Check the Schedule Below!! Latest Update: UPESEAT 2019 Application Form has been released!! Check the procedure and Dates in Table below. Latest Update: UPESEAT 2019 Exam Date Announced!! The UPES Engineering Aptitude Test taken by the School of Engineering of the university. The exam is mandatory for UPES B.Tech Admission and B.Tech. LLB (Hons.) courses offered in the university. If you are interested in knowing the details of exams or admission procedure in the university proper knowledge of each step is necessary. Here in the article one can find complete details of, application form, UPES Exam Date , eligibility criteria, exam pattern, admit card, result and other related processes. In order to get successful admission, it is important that one completes all required process on time. Thus, more than just UPESEAT Exam Date 2019 here we are providing deadlines for all important events that shouldn’t be missed out anyway. The admission in the university doesn’t come easy as either one has to take test method or have an outstanding performance in academics. The M.Tech & UPES B Tech Eligibility criteria vary and so does their process for admission. The courses offered at UG level have certain UPES Admission Criteria for B.Tech for the thorough exam and non-exam methods. JEE score should be 60 or more. Age limit: Candidates who age is less than 22 years are eligible for appearing in the exam or taking admission in the university. Whether a candidate is opting exam or non-exam approach, all will have to fill the application form necessary to show their interest in the UPESEAT Admission Procedure. The application can be submitted online only. Scroll down the page and click on the link to Online Application Form 2019. From the newly open page, find and click on the link to Signup. Enter the valid details usable for long-term and complete registration. Activate your account through received validation link. Login to the website using details and access the application form. Fill all essential details asked in the form and recheck before submitting. Click on the submit button and proceed to fee payment. On successful payment of application fee, your application has been submitted. UPES Application Form Fee is Rs. 1850/- for all the candidates. The fees can also be paid in form of Demand Draft drawn in favor of UPES. Admission taken through exam has criteria of 80% seats, thus providing a great opportunity to many students who couldn’t perform best in other exams. The knowledge of UPES B Tech Exam Pattern is crucial for all those who want to get admission in the university. Taking a look at the exam pattern helps in forming strategy preparation and practice accordingly. Also, through the UPES Exam Pattern, it is easier for one to review priority required for each subject. Marking Scheme: 1 mark for each correct answer and no negative marking for the wrong attempt. The syllabus can help all those students who want to get their admission done. The UPES B Tech Syllabus will be same for all students regardless of what stream they will be opting afterward. The UPES Exam is inspired by JEE Main exam pattern and thus the syllabus will be as the previous national level exam. Students would need to study all general topics covered up to 12th class and more detailed UPESEAT Syllabus Pdf will be provided by us separately. All the Interested Candidates can also check old Papers via a separate article here: UPESEAT Previous Year Question Papers. Some Unique thing is happening here, Actually the Authority will not release any Admit card for the Exam and trust me You will not even need any admit card. You just need a Computer with Working Webcam and Internet Connection. That’s it, Unique and easy. If you want to know more about it you can go here: UPESEAT Admit Card. The announcement of result is done through online medium only. The university usually releases the result within a week of exam date. However, the UPESEAT Result Date will be intimated to all of us. Using the registered credentials one can easily download his/her result in rank format revealing whether they are eligible or not. The counseling is done by the admission authority to provide qualifiers admission in different programs as per interest and eligibility. It is mandatory for all students to attend the UPES Counselling. The Exam authority will release official schedule and events soon and then we will update our schedule. Till then, All qualifying students can tune in to live updated with us. I am appearing in improvement exam in march 2019 can I am eligible for this exam?